Have you ever looked at Saturday-league softball players lazily tossing the ball around, and wondered how much exercise they're actually getting? Wonder no more. 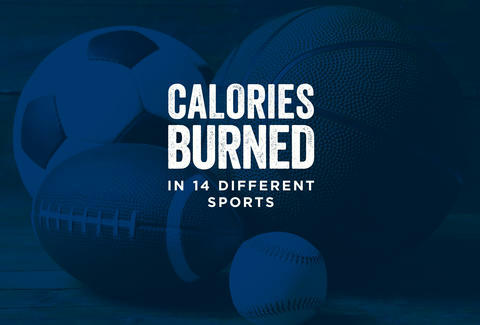 Working with data from Harvard, we put together an infographic that shows the number of calories playing 14 different sports burns. Not playing 14 different sports at the same time, but... well, you get the idea. How you use this information totally depends on whether you're trying to get a sick burn or just work off a few of the calories in the beer you're currently drinking. In fact, you may notice a correlation between "sports you can play while drinking beer" and "sports that don't burn a lot of calories." Anthony Schneck is the health editor at Thrillist. He doesn't play Frisbee. Follow him @AnthonySchneck.